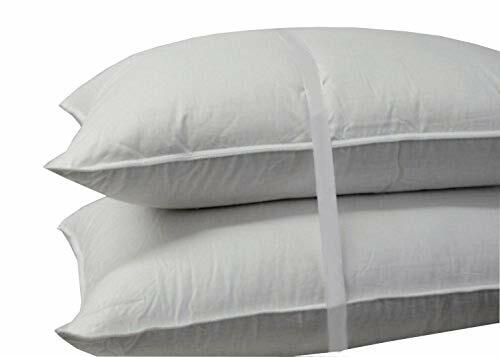 Down pillows are softer, cozier, and lightweight for pillow fights. The construction is simple and when fluffed properly, can be an elegant choice for bedroom design. 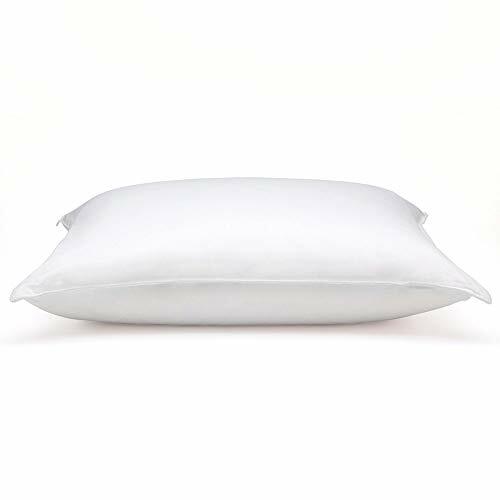 Down pillows are a great choice for those looking for a softer alternative to regular or memory foam pillows. People who sleep on their backs or on their sides will enjoy this type of pillow. 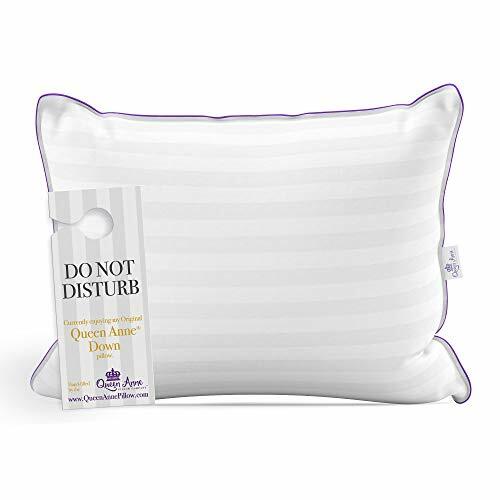 However, before we recommend the best down pillows for you to shop from, there are a few points you should know about down pillows. There are two types of down pillows in the market: Goose down and duck down. Goose down comes from geese and duck down comes from duck. There is a misconception between the two on which is better. You will find a lot of people say goose down is better than duck down. Is that really the case? The problem with answering this question is that some duck down can have superior while some goose down can have very poor quality. If this were the case, then duck down becomes the better choice as it tends to cost less than goose duck. Goose down is typically marketed as more “valuable” and luxurious compared to duck down. However, a high quality duck down pillow will always be better than a mediocre goose down pillow. Not the best choice for side sleepers, but being able to scrunch up the pillow means you can adjust its loft and comfort level. For a better choice, visit our memory foam pillows buyers guide. 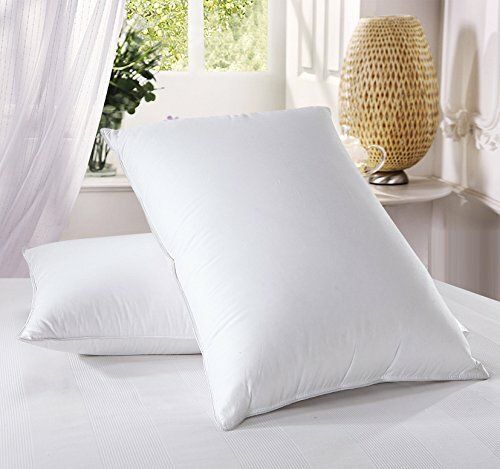 Are known to cause allergies as down filling pillows are susceptible to gathering allergens. For a hypoallergenic alternative, see down-alternative pillows. Down pillows can do a lot of good for the right people, but they may not be the most comfortable choice. For back and side sleepers, or for someone looking for a softer pillow, down pillows can be the perfect choice for head, neck, and shoulder support, not to mention a more comfortable sleep! On average, people replace their pillows every 6 to 24 months (2 years) which translate to 180 to 720 nights of rest with the same pillow. We want to make the best choice for all those nights of rest because owning a low quality pillow will not only cost money to replace, but also cause a lot of headaches and neck and shoulder pain for many nights. These four factors will help you determine the best down pillows to buy, and they are the same factors we use to come up with our list of recommended down pillows for you. Your sleeping position – Down pillows are a suitable choice for back sleepers and side sleepers. Stomach sleepers may not be comfortable with this type of pillow because it may not have enough loft and firmness to prop up the spine. 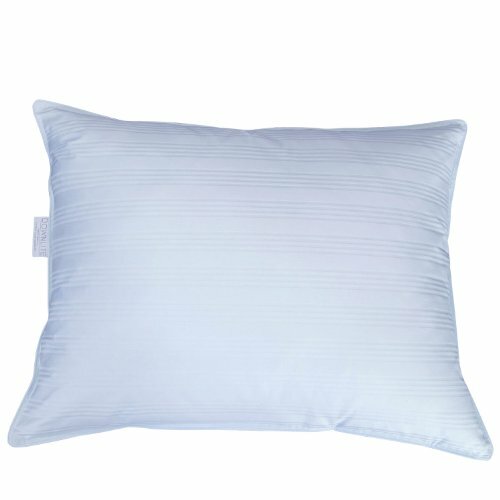 Your cost and budget – Down pillows tend to be pricier than regular pillows that use down alternative microfiber filling. Hungarian goose down is one of the most expensive down pillows while duck down tends to be a less expensive alternative. You may also want two pillows instead of one. Luckily, there are many two-pillow package discounts available on Amazon. Look for the reviews, not the fill power or thread count – Fill power is a measurement that determines the loft in the pillow and down per cubic inch. This can translate to less fluffing and more insulation overall. However, this term can be useless when it comes to neck support and sleeping comfortably as pillows with higher stated fill power may not have better loft or fluffiness than pillows with lower fill power. The same goes for thread count which determines the feel of the pillow, but can be ignored when you use a pillow case to extend the lifespan of your pillow and protect it from being soiled or dirtied. Whether the down filling is responsibly sourced and free from harmful chemicals is important to us as we want to ensure the animals are humanely cared after and does not contain any chemicals that can adversely affect our health. Down pillows can be an amazing choice for back and side sleepers. They tend to be soft and cuddly, warm and comfortable, and provide an incredible cushion support to relieve neck and shoulder pain. 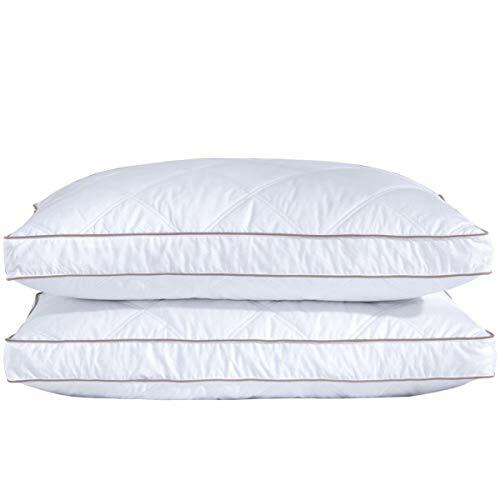 Down pillows come in either goose down or duck down, where goose down is the preferred choice because of their generally higher quality down clusters. 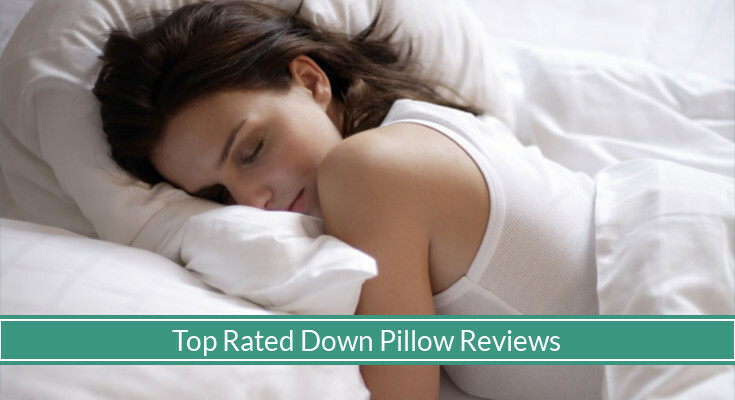 In this buyers guide, we go through everything you need to know about down pillows (the good and the bad), considerations when shopping for a down pillow, the two types of down pillow, and our top 10 best recommendation for down pillows.